Whether you’re moving to a larger home or relocating for work, selling a home takes a lot of work. 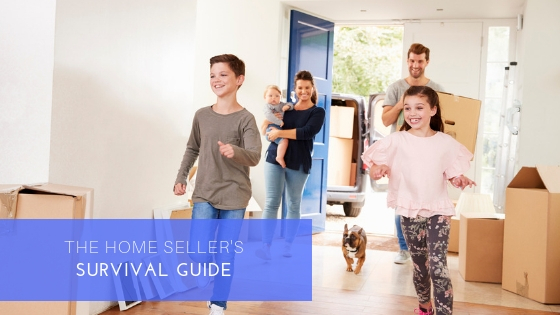 From the moment you decide its time to sell your home, there are a lot of tasks to take care of: finding a real estate agent, cleaning, prepping, and staging, and finally packing and moving. It’s easy to get overwhelmed, especially if you’re buying a new home at the same time (if you are, check out our post on how to manage both). A good real estate agent will competently guide you through the entire selling process. Working with a real estate agent will make the entire process more bearable. They will support and educate you throughout the selling process, use their knowledge of your local market to market and price your home effectively, and can even provide suggestions for improvements to address before going to market. You’ll want to take the time to find the right agent for you. Ask for recommendations from friends and interview at least three reputable agents. Don’t just chose one based on how much they think your home can sell for but one who complements your communication and temperament style as well. You can opt to handle the sales process on your own if you’re comfortable and willing to navigate the process yourself. You’ll most likely will need to make some improvements on your home before listing. Your real estate agent may have already pointed out some minor fixes you can make, but take another walkthrough your home and determine which fixes are worth investing in, such as steam cleaning the carpets or polishing the floors, refreshing the paint, replacing cracked tiles and fixing leaky faucets. You don’t need to completely remodel your home, but address any issues that gives buyers the impression that the home hasn’t been taken care of. If you have any questions, ask your real estate agent for advice. You may want to consider staging your home to sell as well. Clean our home from top to bottom and remove nonessential items (consider renting a storage unit to hold extra furniture and other items). Make sure each room is clearly defined and make sure the furniture in that room make sense. Sure, you may have used your dining room as a home office, but buyers want to see that room in its intended purpose. Preparing your home to sell doesn’t stop at the front door. The outside of your home is the first thing buyers will see so make sure the first impression is a good one! Boost your home’s curb appeal by clean the exterior of the house and updating the landscaping. The majority of homebuyers start their buying process online, so real estate agents will handle listing your home on the local multiple listing service (MLS). Your agent will work with you to determine the asking price based on what other homes in the area has sold for. They’ll also manage open house events and schedule showings. Your job will be to keep your home ready for tours. Depending on your local market, there may be a rush of activity once your home Is listed. As offers come in, your agent will present each offer, explain all the terms and conditions, and help keep emotions in check if you receive lowball offers or none. They will also advise on any negotiations to make sure you get the best possible price and terms. Once you’ve agreed to an offer and the home inspection has been completed, you’ll move into closing. This final step in the selling process is where you’ll formalize the sell and transfer of your home to the buyers. Leaving a home is always an emotional event, especially if you have lived there for several years. Take time to walk through the house to say goodbye and remember the great times you had there. Selling a home takes a lot of time and effort. While it can take several months to complete a sale, sometimes delays can crop up that can extend the process. Planning ahead and knowing what to expect can help you make this transition a smooth one. When you’re ready to buy a new home, visit us online at SummerHillHomes.com to view our new communities throughout the San Francisco Bay Area.